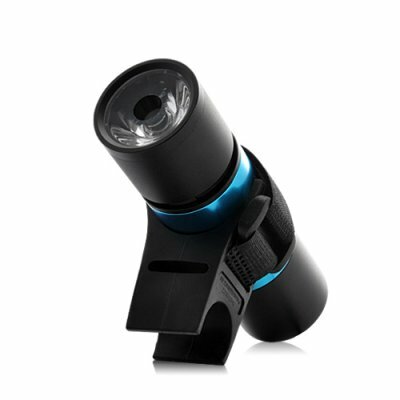 Successfully Added 3-in-1 LED Bicycle Flashlight (Torch, MP3 Player, FM Radio) to your Shopping Cart. 3-in-1 LED Bicycle Flashlight (Torch, MP3 Player, FM Radio): Ride your bike, day and night, while enjoying music even without earphones! This beautiful, metallic Bicycle Flashlight is made of 1 powerful LED able to light up the path in front of you up to 20 meters away. It provides a bright while color, strong enough to show you any obstacles or dangers on the way. At night, it is great for notifying drivers and pedestrians around you, helping you be seen and thus protecting you from possible road accidents! Provided with an easy-to-install handlebar mount, this LED lighting gadget is ideal for those who commute by bicycle or practice cycling during their free time. Beside its function as a torch, the 3-in-1 LED Bicycle Flashlight also has a built-in MP3 player and FM radio. Simply insert a micro SD card and you are ready to play MP3 and WMA audio files! For maximum convenience, there is even a built-in speaker allowing you to listen to songs without the need of earphones. A good way to enjoy your favorite music and be in a good mood on the way to office! What more? There are 5 lighting modes suitable for different environmental conditions, and also able to match the rhythm of tunes and musical notes! The 3-in-1 LED Bicycle Flashlight combines a powerful torch and MP3 player for cycling in the air! This great bike accessory is brought to you at an amazing low price by the leader in lighting gadgets and electronics, Chinavasion. Built-in speaker for listening to music even without earphones! Transfer files and recharge through provided USB cable. Listen to music with included earphones or directly through built-in speaker.